Well, here we go. 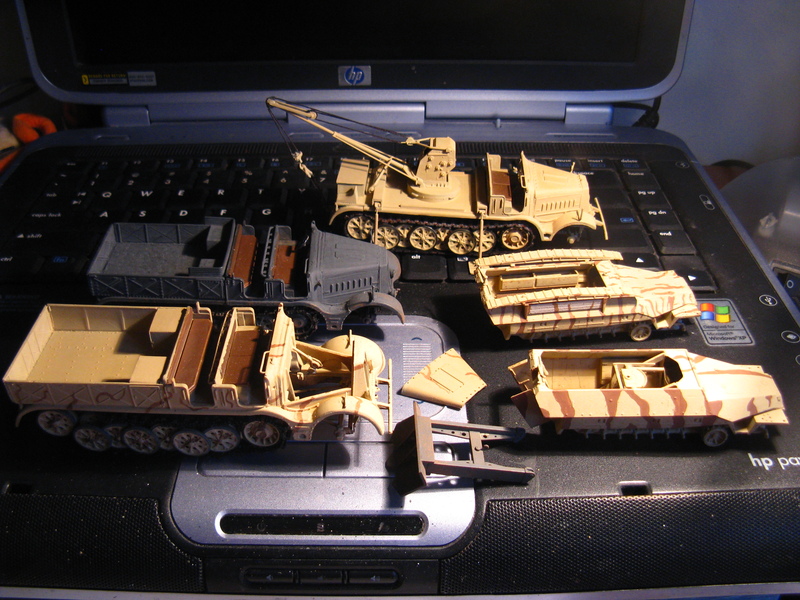 When in 2009 I took up a PhD position in the UK, I was forced to mothball all my fancy model building equipment, my airbrush, and live my first year off in undergrad housing. 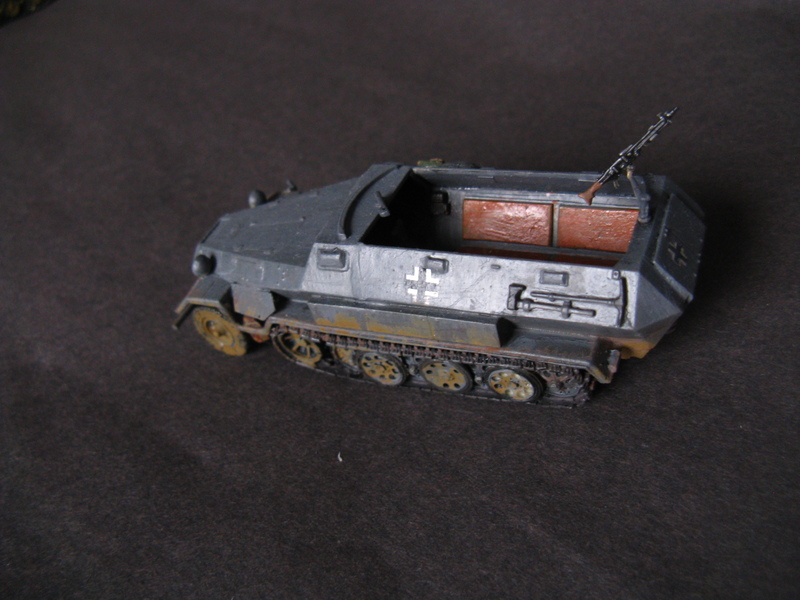 After the first couple of random models I’ve built I realized that the sd.kfz.251 has an incredible number of conversion sets for 1/72. I started to collect the DML 3 in 1 kits previously, but let’s face it: it takes an awful lot of time to build a 1/35 kit. 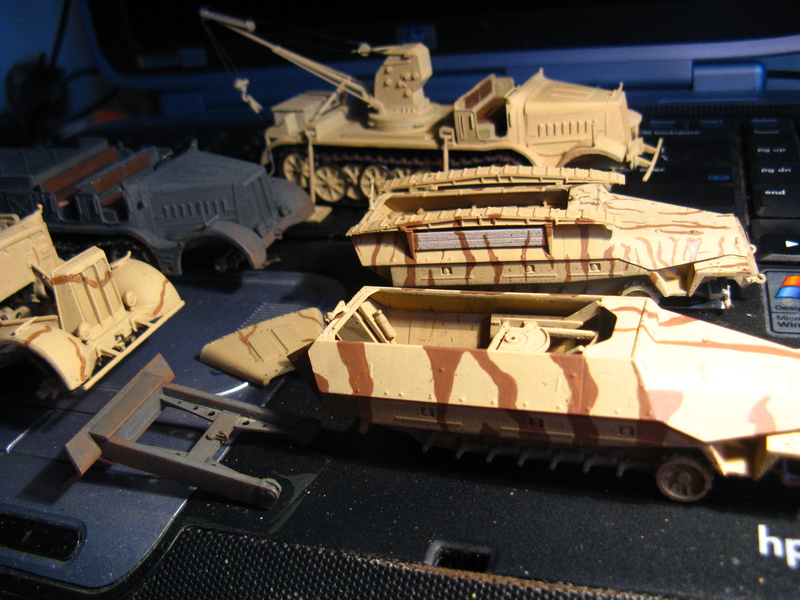 If you want to build several versions of the same vehicle, it means a lot of repetitive steps and assembly of identical parts. I started to order the conversion sets one after another, and kept buying the 1/72 DML 251s from Ebay. 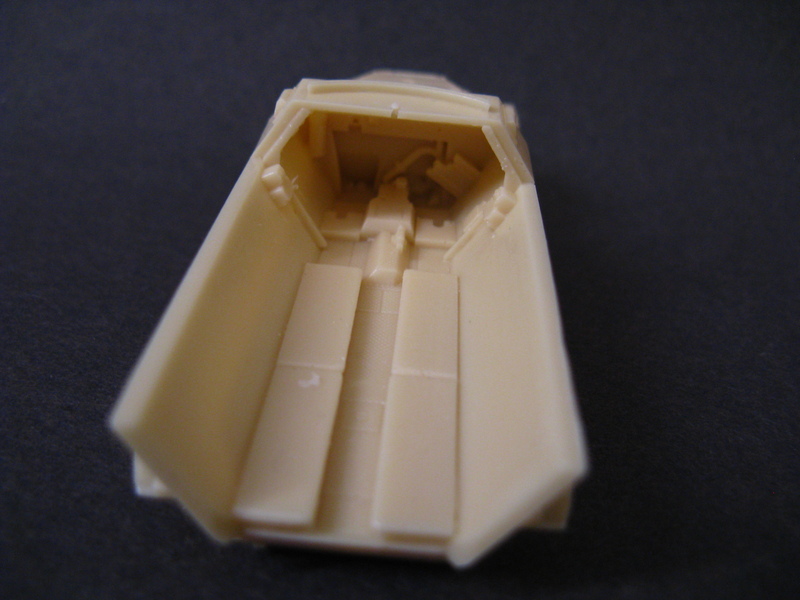 Interestingly they cost just as much as the ESCI/Hasegawa/Revell offerings, but they are infinitely better, not to mention easier to convert, as the floor does not have any holes or ridges to help position the seats molded on. It also has the proper no-slip surface. 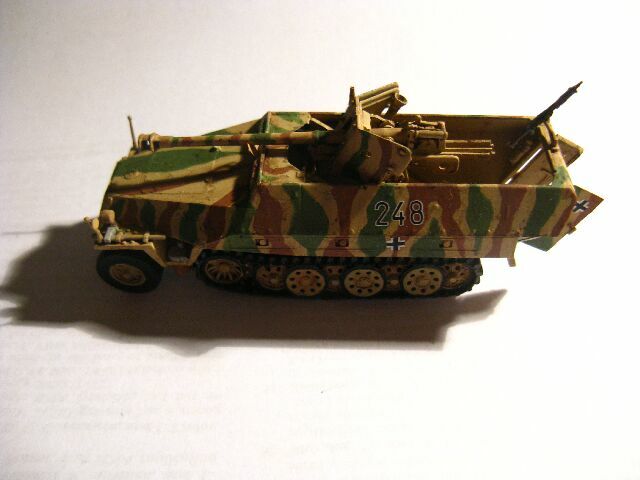 I’ve also realized that the Sd.Kfz.251 Ausf. 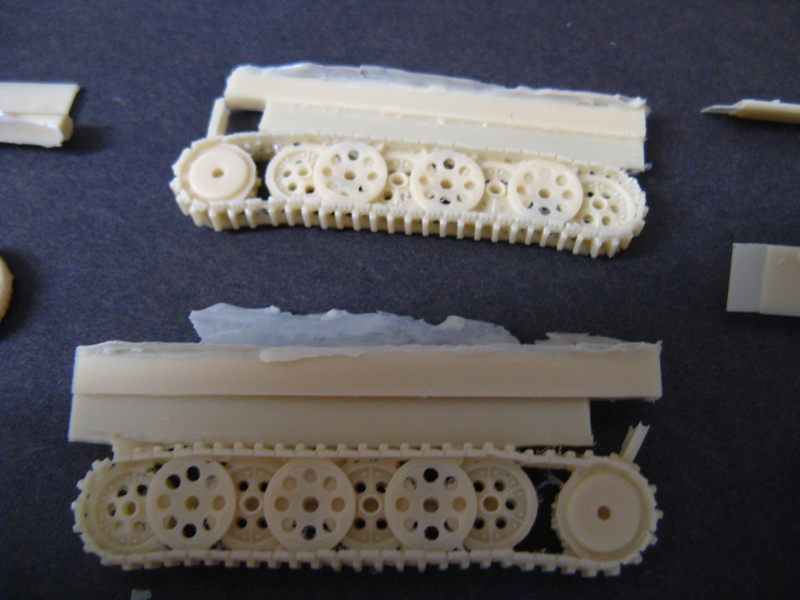 A and B versions are actually different from the more known C and D versions, and the only available, accurate model is in 1/72 scale – by ModellTrans. I’ve decided to build the Ausf A version, since the B was not very prominent, and did not differ considerably from the A. I’ll quote myself from the armorama review I’ve written about the model. The development started on the basis of the sd.kfz.11 halftrack. A ballistically shaped armored superstructure was built on the chassis of the vehicle, creating an armored personnel carrier capable of transporting ten troops, a driver and a commander. The ausf. A, and the interim ausf. 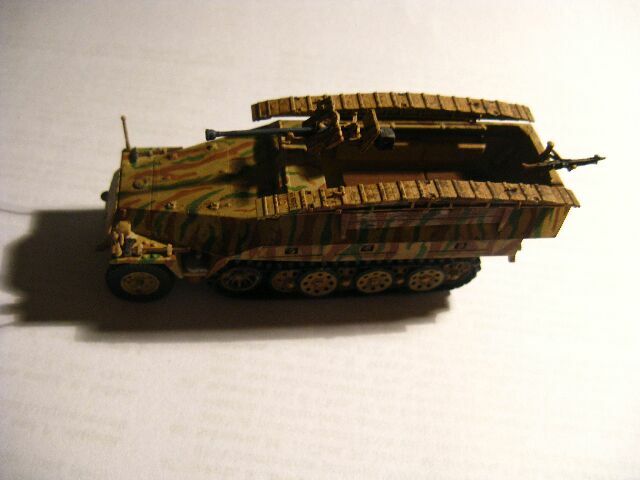 B, were considerably different from the much more widely known ausf C and D models. The nose was made of two armor plates with a ventilating flap in the middle; two other flaps were located on the sides of the engine compartment. Later cowls were added over the cooling flaps on the ausf. B. The air intake for the radiator was located under a grille on the engine deck in front of the large double hatch. 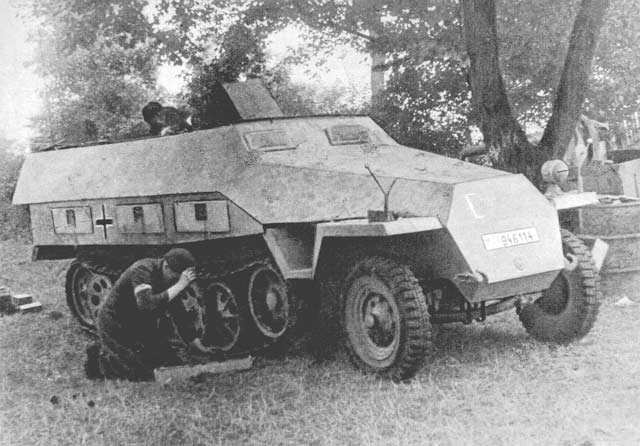 This version was equipped with a bumper, which was not present on the ausf C/D vehicles. The turning indicators were placed right in front of the front vision blocks; later, in the ausf C., they were moved lower, just above the front mudguards. The armor was mostly welded with a few places where rivets were used (the hinges on the back doors, for example).There were three vision blocks on each side of the half-track: one for the driver or commander, and two for the passengers (these last two were removed in the ausf B). There were two MG34s mounted on the vehicle’s front and back in unprotected mounts. They were later retrofitted with armored shields, and fixed pivot mounts which increased protection and accuracy; it’s not uncommon to see photos of early 251 ausf A’s with sandbags around the front MG mount. The toolboxes were located on the middle of the fenders; most of the larger tools were fixed to the sides of the passenger compartment. The interior of the vehicle was also very different from the ausf C/D versions. The seats for the driver and commander were much more simple constructions, with padded cushions and separate backrest with simple support frames. The 251 was equipped with the standard Funksprechgerat F radio. It was placed on the side-wall, just behind the commander in the ausf A version, making its operation a bit difficult, as he had to turn back and sideways to access it. In the ausf B version it was moved to its final position, in front of the commander. (There was a medical kit in the ausf A version in this position.) The aerial of the radio was originally on the right front mudguard, and this also was moved on the ausf. B to the right side of the passenger compartment. The benches in the passenger compartment were also much simpler, and the backrests were placed directly against the armored superstructure; there were no stowage bins installed (the presence of the side vision ports would have made them impossible to install). These were added in the ausf. C version. There were brackets on the walls of the passenger compartment for attaching the two MG34s, spare barrels, Kar98 rifles and other equipment. 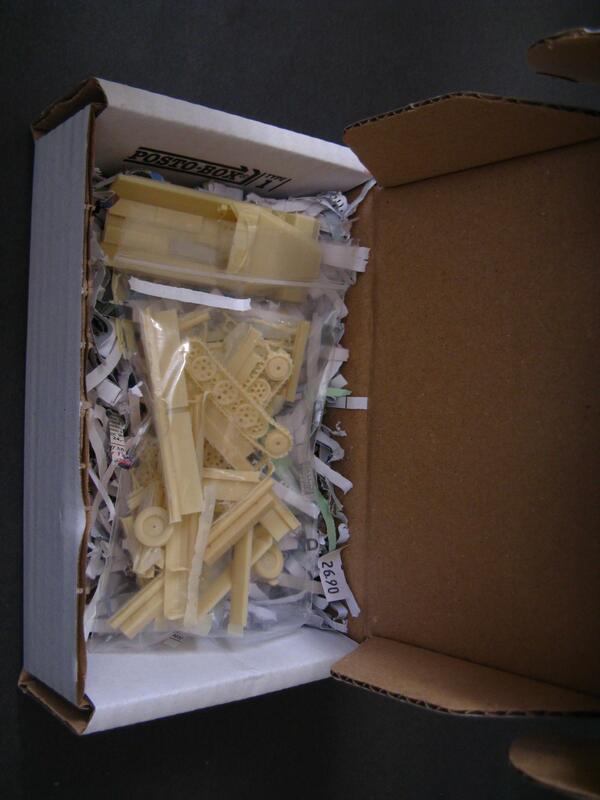 As you can see there’s a lot in the box; some of the parts are quite astonishing, in fact. (The main hull is an especially impressive feat of engineering.) You do get a lot of things, but one thing you don’t get is instructions. Since this was my first full resin model, I was quite worried that I got a defective kit. Regardless, with some planning and research, it’s pretty easy to figure out what goes where. There were some bubbles and casting imperfections, though. Some of them were not easy to fix, so I left them like that, rather than risking damage to the details. 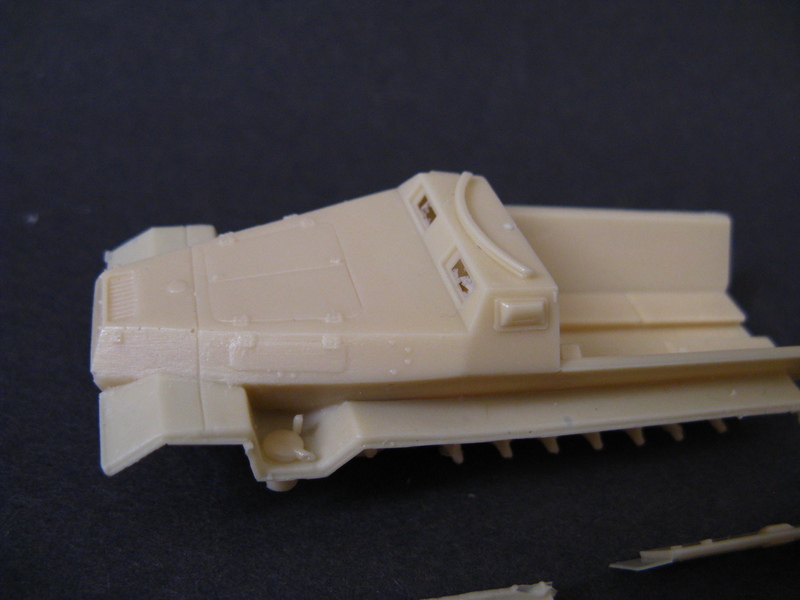 The tracks are given as an already assembled unit, which made assembly easier. 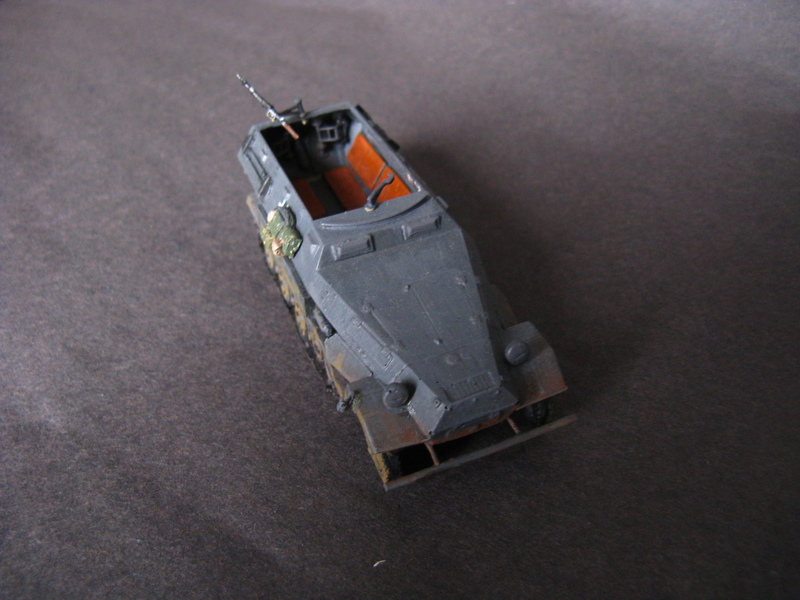 DML Sd.Kfz. 251/7 Ausf D. w 2.8cm sPzB 41 gunThe sPzB 41 was a squeeze bore AT gun– relatively small with a big punch. 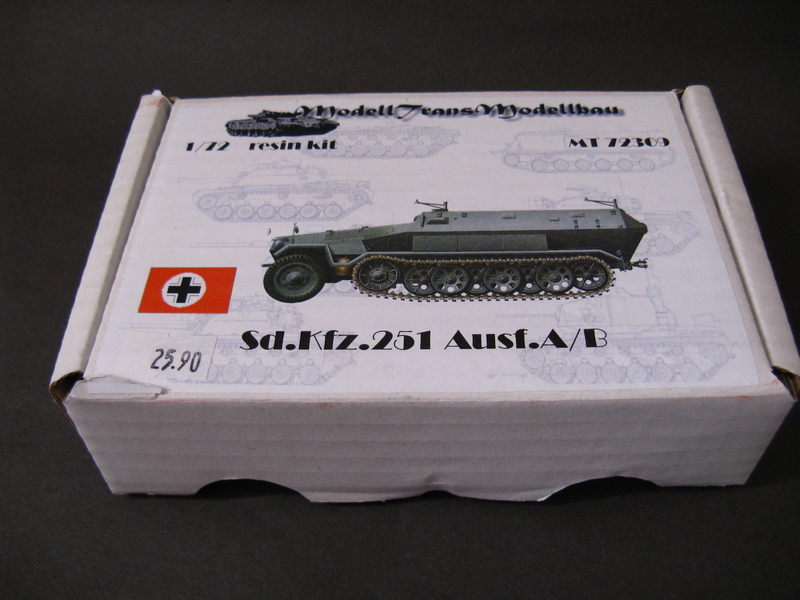 Comes with an Sd.Kfz 251 halftrack and a pair of pioneer bridges for a limited time only. The kit is excellent quality, and the gun itself is brilliant. But if we’re talking about AT guns, then we cannot go wrong with a PaK 40, can we?